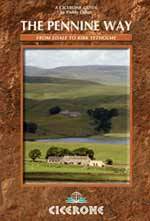 An essential guide for those planning to walk The Pennine Way National Trail, from Edale in Derbyshire to Kirk Yetholm, on the Scottish border. The first long-distance path in Britain, in 1965, it traverses the 'backbone of England', striving to stay high on the moors, yet dropping down to delightful towns and villages for the night. Peak District National Park � Kinder Scout, Bleaklow and Black Hill; South Pennines � Stoodley Pike and Bront� Country; Yorkshire Dales National Park � Malham Cove, Pen-y-Ghent and Great Shunner Fell; North Pennines AONB � Teesdale, High Cup and Cross Fell; Northumberland National Park � Hadrian�s Wall and the Cheviot Hills.